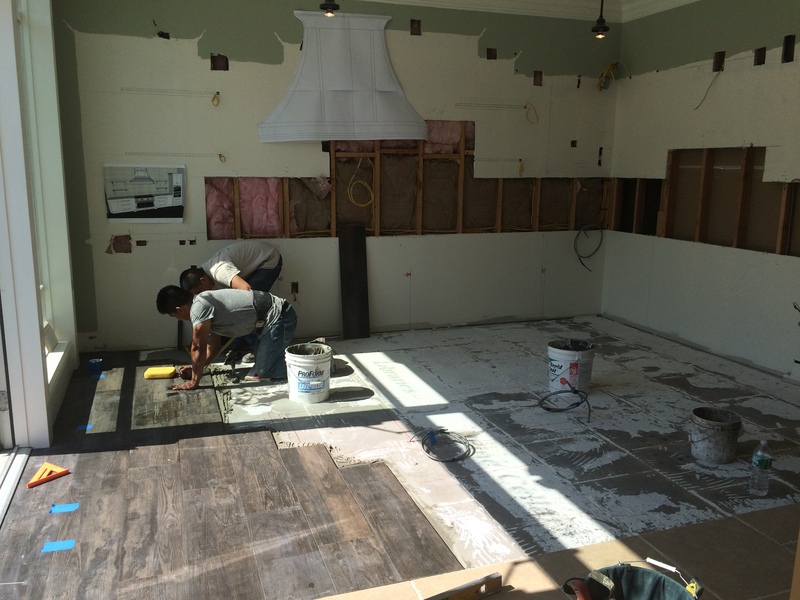 Peter Salerno Inc. Showroom Update: New Tile in Transitional Kitchen [PHOTOS] – Design Your Lifestyle. For several months, we’ve been telling you about the exciting showroom renovations happening at Peter Salerno Inc. in Wyckoff, NJ. Named the most innovative small showroom at the 2015 KBIS convention, Peter Salerno Inc.’s showroom is a blend of high-end appliances, classic craftsmanship and modern, transitional design. The tile you voted on being installed in Peter Salerno Inc.’s new showroom transitional kitchen design. Several weeks ago, we asked you to vote on the tile you liked best for our brand new transitional kitchen design, to be placed in the front of the Peter Salerno Inc. showroom. The new transitional kitchen design will be punctuated by the new Generation 6000 line of Miele appliances, including the revolutionary Miele combi-steam oven and the new Generation 6000 coffee maker. After receiving a plethora of votes (far more than we expected!) 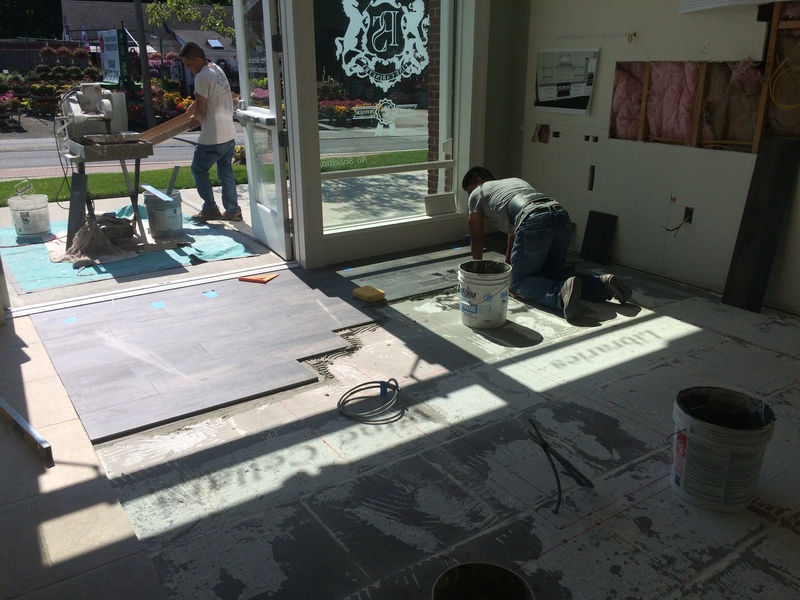 over social media, in-person showroom votes and the official Peter Salerno Inc. blog, the majority of voters chose the tile that you see being installed in these exclusive showroom photos! As usual, we find our clients and readers to have wonderful taste, especially when it comes to accenting and accessorizing Peter Salerno’s custom kitchen and bath designs! This rich, state-of-the-art tile flooring will be the perfect complement to the brand new Miele-inspired transitional kitchen design, coming soon to the Peter Salerno Inc. showroom!